Minions are everywhere at Minecraft Hotel grand opening. (Minecraft is owned by the Microsoft Corporation). 2. YANDERE CHAN GETS MARRIED?! 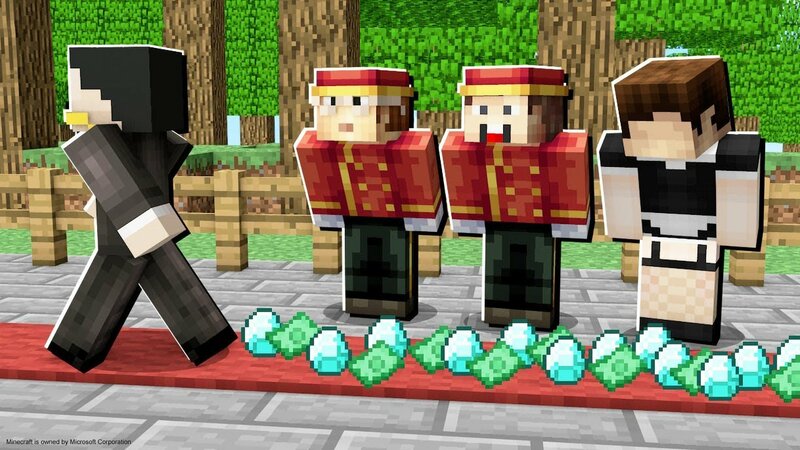 The staff try to hold a wedding at the Minecraft Hotel. (Minecraft is owned by the Microsoft Corporation). Jaws the shark checks into the Minecraft Hotel. (Minecraft is owned by the Microsoft Corporation). Iron Man saves the day at the Minecraft Hotel. (Minecraft is owned by the Microsoft Corporation). Freddy Fazbear haunts the Minecraft Hotel. (Minecraft is owned by the Microsoft Corporation). A crazy T-Rex tries to eat the other guests at the Minecraft Hotel. (Minecraft is owned by the Microsoft Corporation). Herobrine haunts the Minecraft Hotel, and needs to be destroyed. (Minecraft is woned by the Microsoft Corporation).